According to the Met Office, British springtime officially started on 1st March. Despite the official stamp of springtime us Scots wont even notice the difference until about mid-May. Poor Scotland gets such a bad weather rap. Yeah it rains a lot. Like loads. All the time. In fact I don’t think I left the house and arrived any place dry in the whole of January. The rain has now stopped but it’s been replaced with a cold bitter wind. I firmly believe when George. R. Martin was writing about the long winters in Game of Thrones, he was inspired after spending half the year in Scotland. So when I was approached by Wayfair to create a springtime recipe with a Scottish twist I had difficulty with this inconsistency. Google ‘Springtime food’ and you’re confronted with images of herbs, salads, ‘healthy’ options, grilled meats, fruits, jellies and folks barbecuing in the garden. So how was I supposed to relate this springtime ideal into a Scottish reality? We Scot’s don’t distinguish between winter and spring with a new menu. We’ve spent 6 months in hibernation gorging on all manner of stews, roast meat, mashed potatoes and thick lentil soups. So yes, when we emerge blinking into the sunlight, we do crave something a little lighter and fresher but we still need food that provides insulation. So with this in mind, I opted for a fresh springtime twist on the Scottish classic, Cullen Skink. 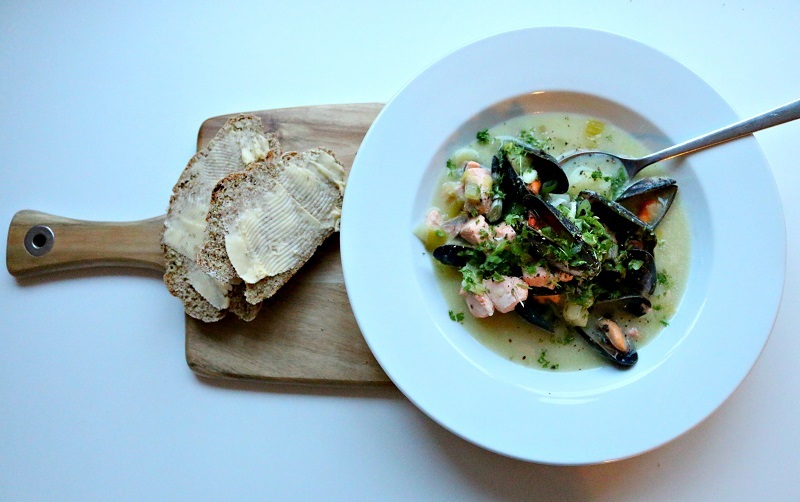 My springtime seafood soup makes the most of Scotland’s delicious seafood (and a much needed boost of iron) yet still provides a hearty warming meal to warm your cockles. 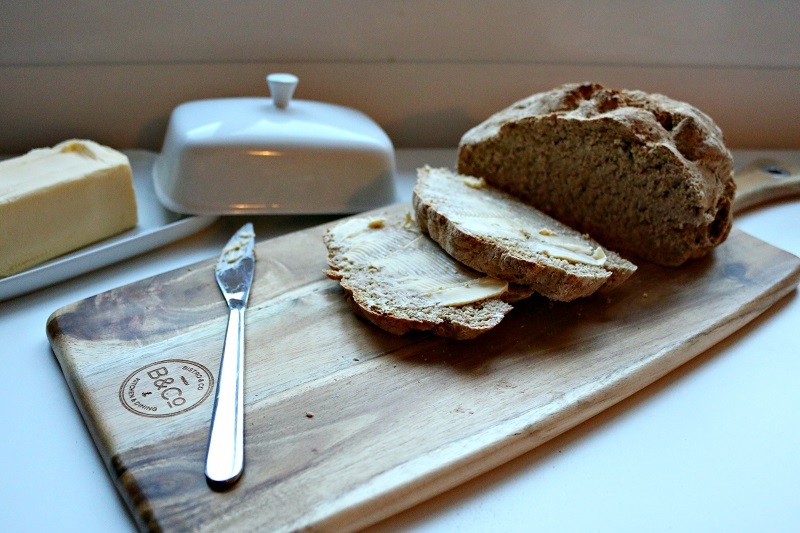 I served it alongside a hunk of homemade soda bread, which when slathered with salted butter, is the perfect accompaniment for dunking. You can find the full recipe, and a host of tips, over at Wayfair here. Disclaimer: Wayfair kindly provided the kitchen equipment to create and serve this meal on.